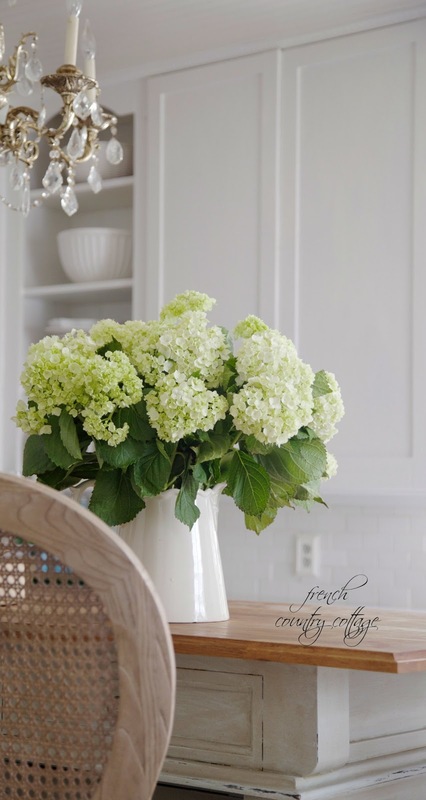 A beautiful bouquet of fresh cut hydrangeas- what is not to love? 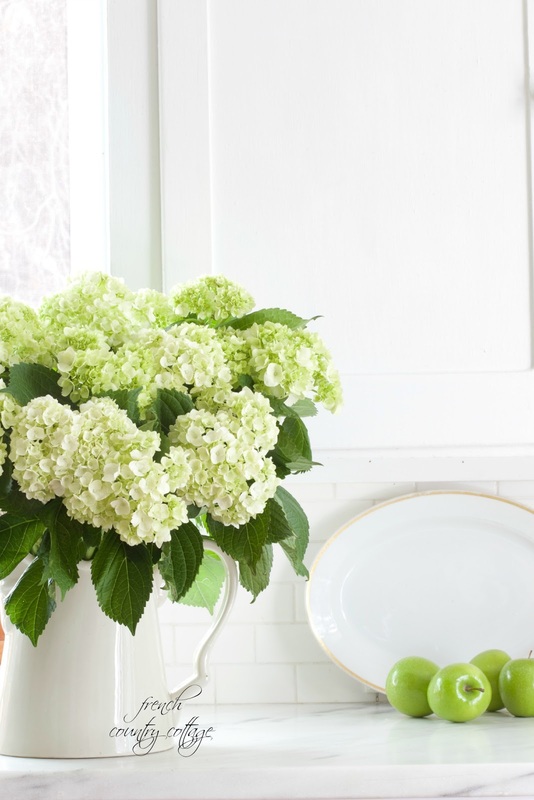 big hydrangea blooms are simply gorgeous. Hydrangeas were one of those flowers that would always tempt me at the market. and how I would want to grab an armful of them and bring them home. those beautiful blooms would wilt within 2 days of bringing them home. So I would resist them. Until this simple $5 fix came along. 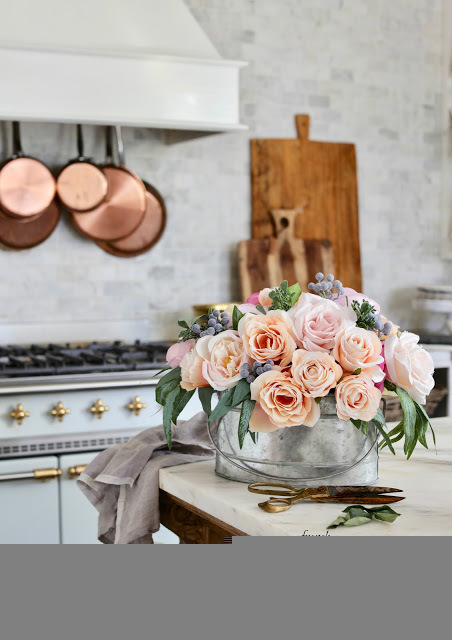 You already know that I am a wee bit obsessed with fresh flowers. They are a must in my book and are a weekly indulgence for me. 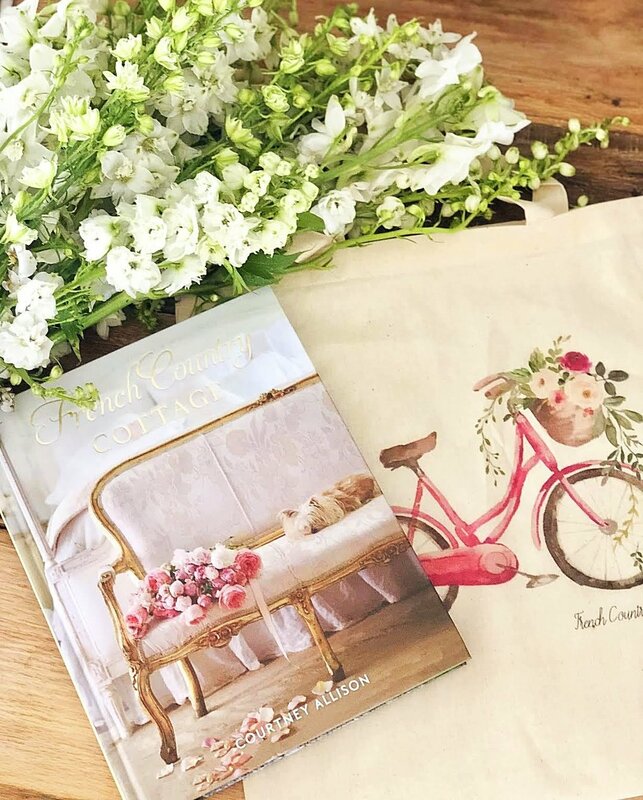 From roses, to stock, to peonies to you name it. beautiful hydrangeas were notorious for pooping out on me within a day or two. they would start to wilt right away. I was convinced that hydrangeas just didn't like me. Or the temperature in my house. I even talked to them and told them how pretty they were. knowing that their beauty would last for just a couple days. that I had just brought these blue & white beauties home and I was loving them. and you can see that white one in the back on the right side starting to wilt already as well. I was frustrated. I had failed again. I asked if anyone had any tips and couple of you offered some advice. Each of the tips did help. I had a ton of questions about it. for me and with them- he handed me a little container of Alum. So sweet of him, right? you know, because I was convinced hydrangeas just didn't like me. Fast forward to 6 days later... Is it possible to love a spice? looking as fresh as the first day they were in the house. I googled it and read all about it before trying it. 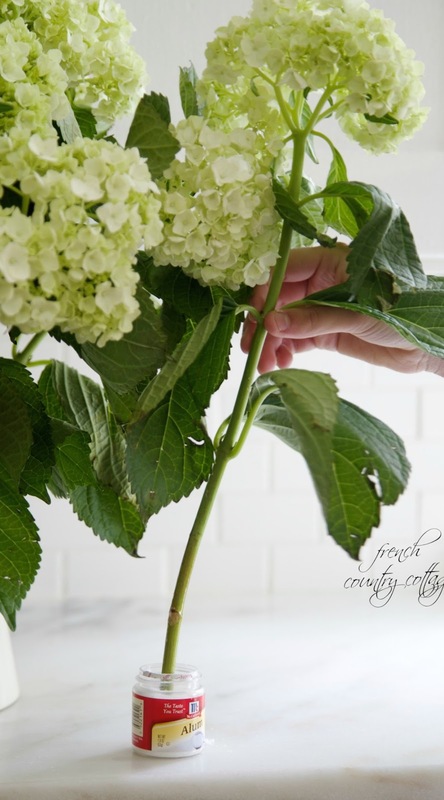 Simply cut the hydrangea stems just as you normally do. 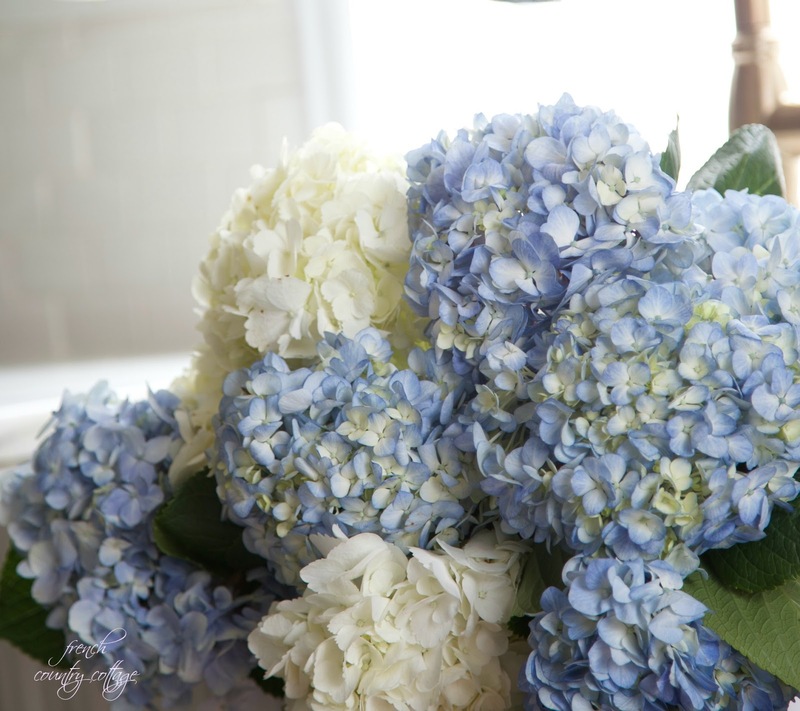 and just stick your hydrangea right into your vase of water. It has already done the job it needs to do. hydrangea from being able to absorb water. bags of water when I purchased them. when packing them up for shipping. before deciding to bringing some of those beauties home. 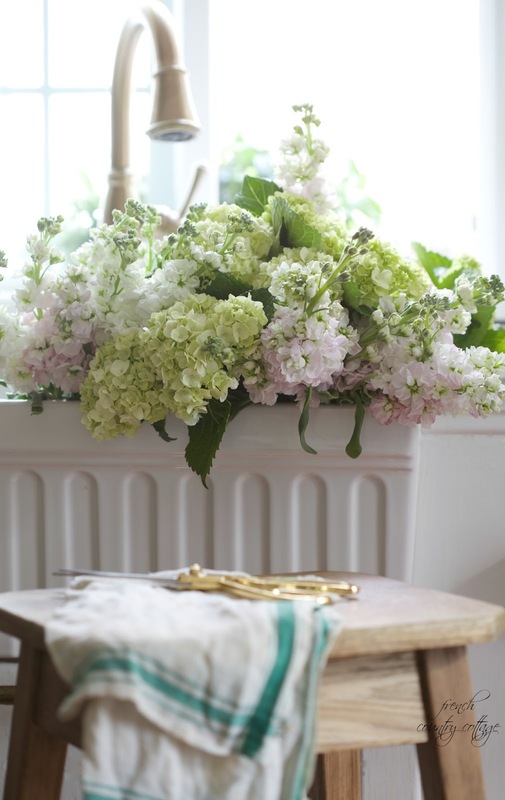 and a favorite way of drying hydrangeas in a separate post. Well, you just solved a mystery for me. I wonder if this will work with lilacs? Thank you for sharing this wonderful tip. Thanks for the tip! Will definitely do this in the future! what a great tip, Courtney! thanks so much for sharing it with the rest of us slightly obsessed peeps! Wondering the same....does this work for lilacs also? Thanks for that little tip...hydrangeas are my favorite flower. Your photos are beautiful. THANK YOU!! I wish I would have known this in 2006 when I married my husband! My beautiful Blue Hydrangeas were wilted by the time we cut the cake. Now I know the secret! I'm looking forward to trying this- thanks! Great to know! They are my favorite flower! Thanks Courtney. I cannot wait to try. Just forwarded your blog tip on to several friends. I think it is worth a try. Cut the stem and dip it in hot water and then the alum. It might work! Plus I think you can re cut and re dip whenever they start to wilt. So glad you shared this little tip with us. I love hydrangea. Courtney, I've had same problem, over and over again. 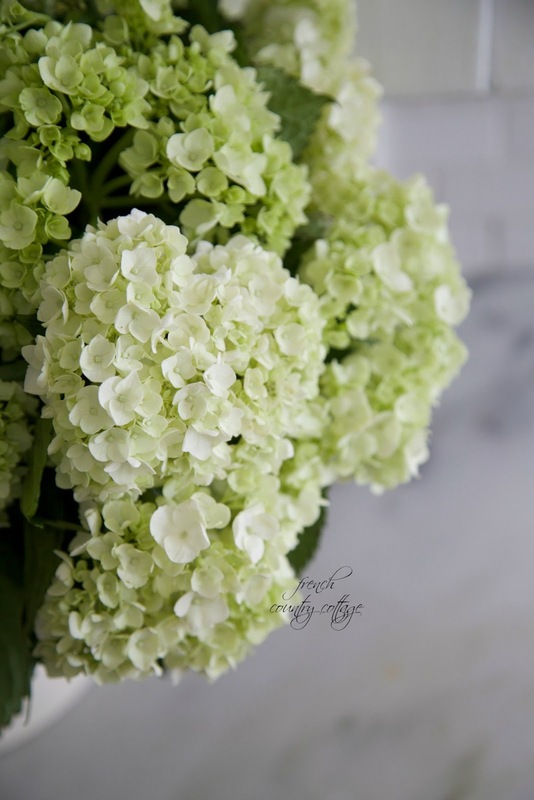 I'm a huge fresh flower lover, but have begun avoiding hydrangea because of the fast wilting problem. And, like you, I've recut the stems, changed the water, misted them, etc. Who knew? I love this idea! Thank you for sharing! The other day on Twitter, I read that they suggested ABSOLUT & sugar! I'm thinking that if the flowers start drinking, I might have a problem:D I'll stick with the Alum! 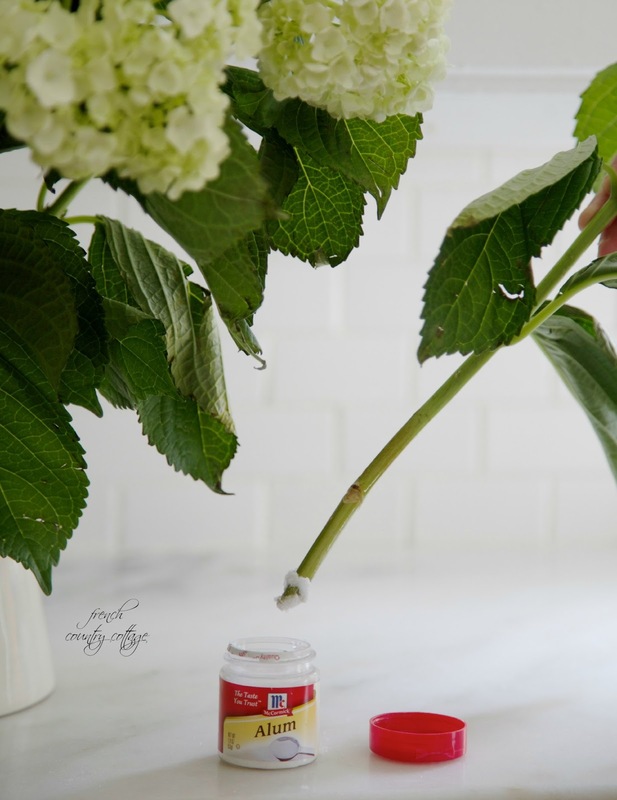 I love hydrangeas and I used to have the same problem with mine until I discovered this: for your fresh cut hydrangeas, bring them in the house, submerge the blooms upside down in room temperature water for 15 minutes - no more and no less. After 15 minutes, gently shake of the excess water and put the stems in water just as you normally would. 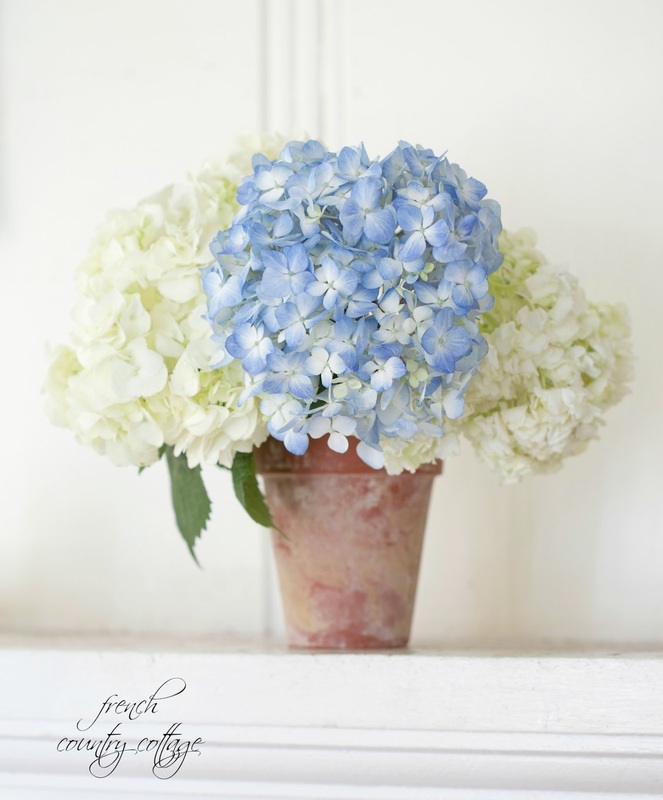 I have had hydrangea blooms last up to 2 weeks after doing this! it's wonderful! this, of course, is for fresh cut blooms,. I don't know how it would work on store bought flowers. THANK YOU!!! I adore hydrangeas, had 15 bushes at the old house and just 2 here....so far! I am buying some Alum tomorrow!!! Wow! What a simple useful idea. Thankyou! I've had great luck with recutting and Adding fresh water daily but there were always a few stems that would croak. I am so excited to try this I can't tell you!! Thank you so much for the tip. I have two beautiful hydrangea bushes but I was always afraid to cut the beautiful blooms -- no longer! I think I'll purchase more hydrangea plants this year. Oh I really needed this advise! 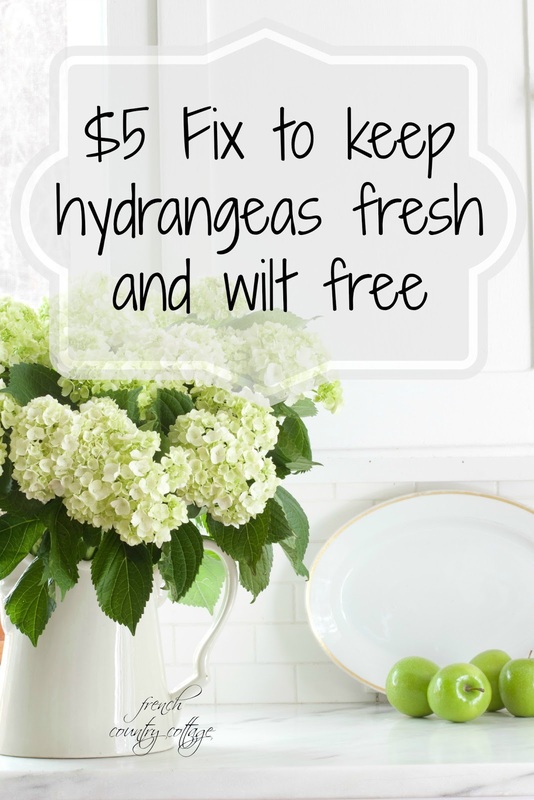 I also love hydrangeas and never kept them fresh long enough. Thank you so much! Wow!! that is wonderful tip...this is a keeper and going to get some Alum so i am ready. Who knew? I bought a big bouquet of them last week when Bunco was at my house & they were dead the next day. Thank you. That is one of the best tips for cut flowers I've ever read. Thank you! Thank you, this is a very timely tip. Just last weekend for Valentine's Day my husband gave me roses and hydrangeas (which is so special to me because I had those in my wedding bouquet), but the hydrangeas wilted the same evening. We were so confused and frustrated by this. Now we'll know what to do next time! The same thing will keep lilacs lasting, practically any woody stemmed flower! I would smash the ends then plunge in very very hot water for about ten minutes then into room temp water! Mind you they slightly wilted after being in the hot-almost boiling water-but would revive and last for days! Do you think this trick might work on lilacs too?!? What a great tip to know.....I can't wait to buy some and try this method! This is wonderful! I love to add them to my guest room when we have visitors but they always died before my guests left! Super excited to try this! Oh! Thank you for sharing. I am going to buy some alum and hydrangeas on my next outing. This will not work for lilacs. Hydrangeas love water. Another tip if you don't have alum is to soak them underwater(completely) for 30 minutes. I use my tub, I recut the stem underwater and place it in my vase. 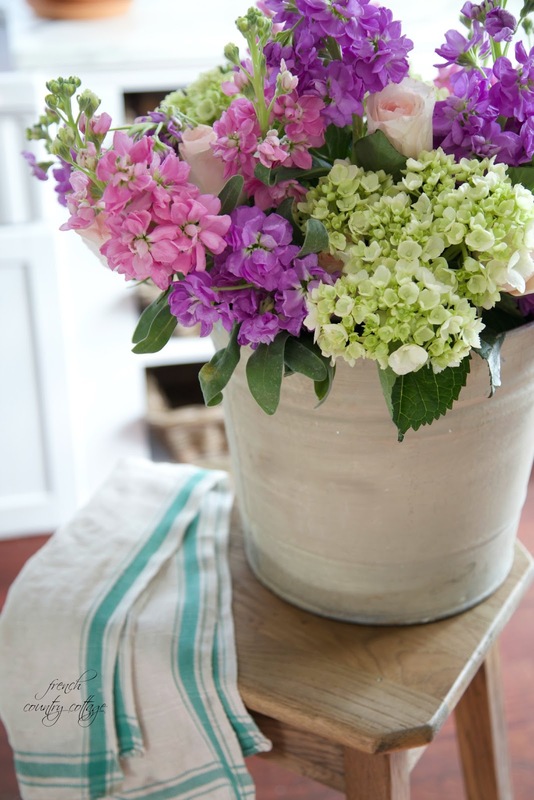 Make sure also that you keep your vase as full as you feel comfortable. A hydrangea takes up water all along its stem. 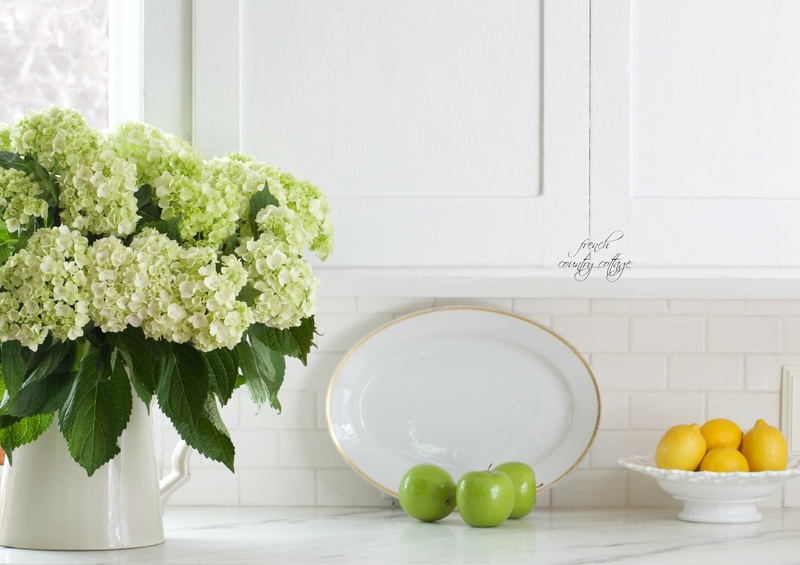 Where is your post on drying Hydrangeas? It will be coming up Robbie. Thank you for stopping by! Thanks for the great tip. I am going to try this! I'm so glad the Alum worked for you! It's been my hydrangea lifesaver, too. My florist said Alum is what they use to "color" flowers (like blue mums etc) because it takes the moisture all the way to the tops of the flowers. 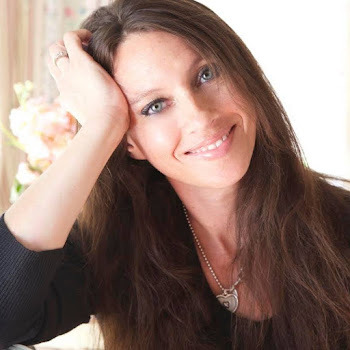 Your blog is beautiful romantic .Welcome!I'm Annamaria new blogger.Thanks! Very helpful ,thanks a lot! Thank you soooooo much!!!! I can't wait to use this tip. I am OBSESSED with hydrangeas. 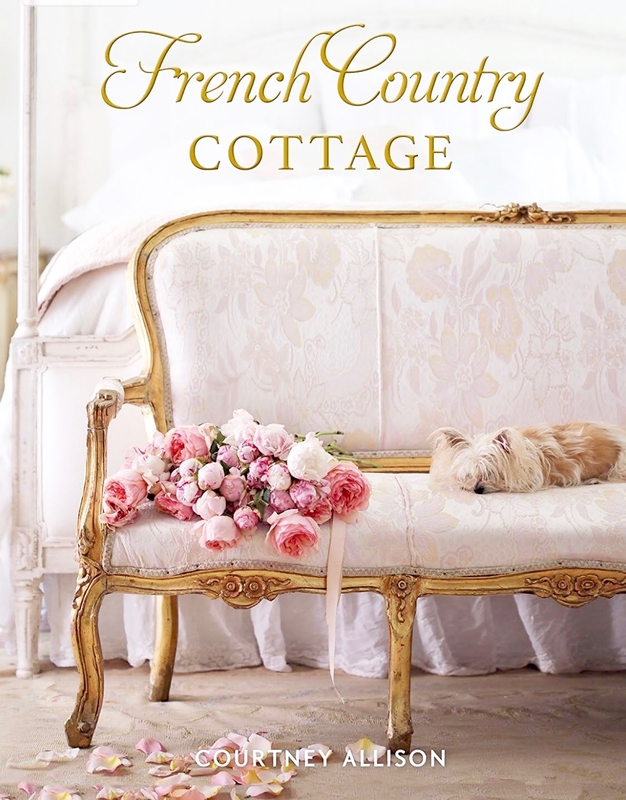 I have them planted all over my yard, and love to bring them in, and put them in all my rooms. I actually feel pain when they start to wilt. I've tried all the tips, add sugar to the water, or asprin, etc. So I'm anxious to try this. Many thanks, and I have subscribed. Hi, you not only cut the stem at 45 degree angle but also take your knife and splice the end so it can drink even better. I'm going to try the Alum also, thank you.